Our Pet Profile platform is a seamless organizational dashboard that can be updated and changed at any time. From medication routines to where you keep your poop bags, we push this information to the people that will be caring for your pets when you can't. Easily print as a "User's Manual" for your pets — perfect for pet sitters, dog walkers and boarding facilities. Four Clings to put on your home windows, car doors, helmets, etc. 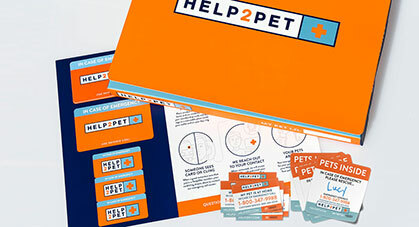 Two Help2Pet membership cards to put in your wallet or pocketbook. Three In Case of Emergency identifier tags for your keys, backpack or jacket. 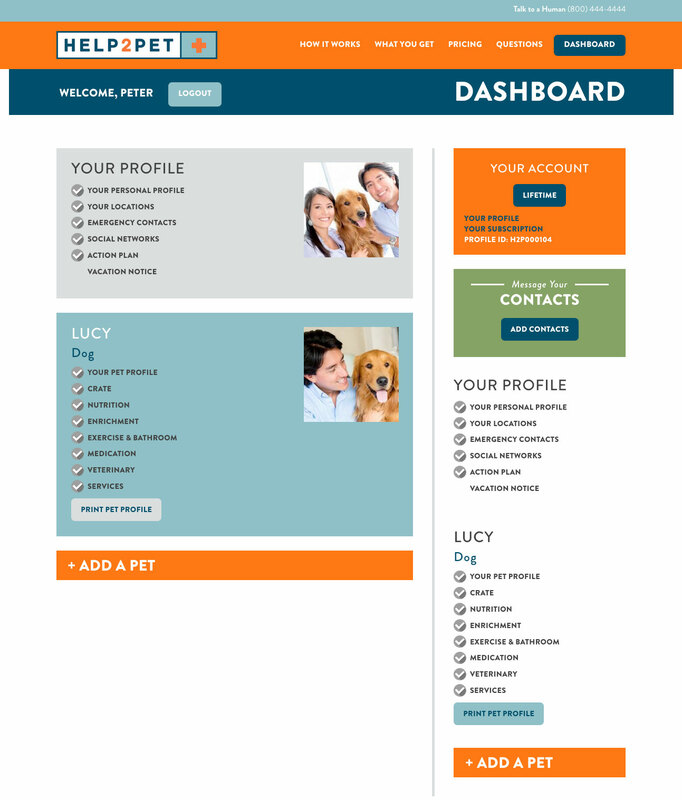 Your Pet Profile is a secure place that you can easily add pertinent information about yourself and your pets. 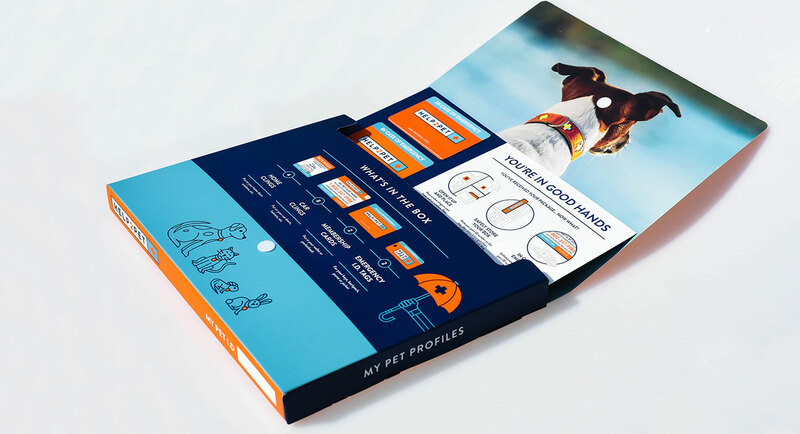 Your Pet Profile ID, in the form of a cling, membership card or key ring, links you with your profile using a unique code that allows anyone the ability to call Help2Pet and let them know you're in need of assistance with your pets. 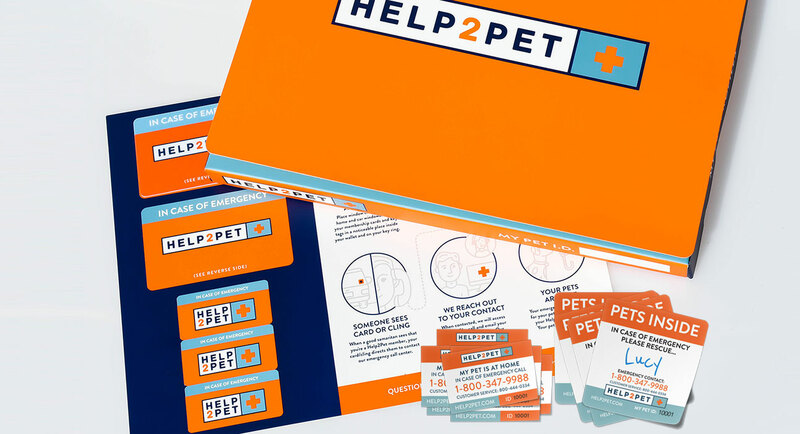 Help2Pet will respond by getting in touch with your Emergency Pet Contacts. Rest assured that your pets are safe while you're away. Because your pets deserve a backup plan. Each additional pet $1.99 per year. Copyright ©2019 HELP2PET. All Rights Reserved.